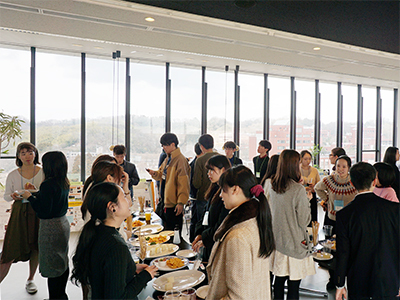 On January 24, the Awards Ceremony for the poster session Study Abroad Program 2018 took place. 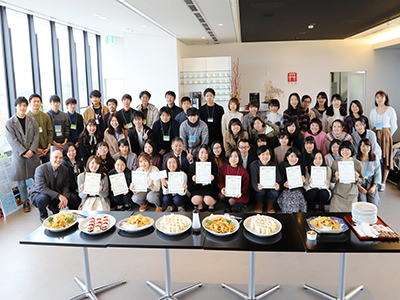 10 students who studied abroad to our partner universities below were selected as the best presenter and President Koetsu Yamazaki gave the congratulatory address to them. 66 people including students and staff participated in the event. On the same day, the Exchange meeting was held and senior students talked about what they learned through various experiences overseas. 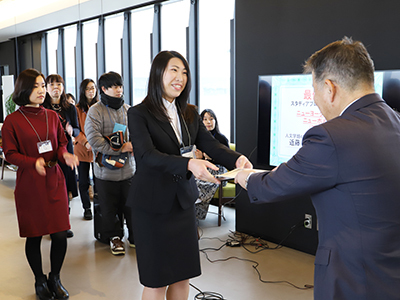 It was not only the great opportunity for students who will study abroad next year to share information but also to make their motivation increase very much.